Trump Administration Will Shield Health Workers Citing Religion To Refuse Care : Shots - Health News The Division of Conscience and Religious Freedom is being established to aid health workers with objections rooted in conscience or religion to treating certain people and performing some procedures. The Department of Health and Humans Services is adding a Division of Conscience and Religious Freedom to protect doctors, nurses and other health care workers who refuse to take part in some kinds of care because of moral or religious objections. "Never forget that religious freedom is a primary freedom, that it is a civil right that deserves enforcement and respect," said Roger Severino, the director of HHS's Office for Civil Rights, at a ceremony to announce the new division. The establishment of the division reverses an Obama-era policy that barred health care workers from refusing to treat transgender individuals or people who have had or are seeking abortions. That Obama rule was challenged in court by the Franciscan Alliance, a Christian health care organization in Texas, and a judge in 2016 blocked enforcement as the case played out in court. The new division appears to be primarily aimed at preventing health care workers from participating in abortion services that go against their religious beliefs. The division cites a 2011 federal regulation guiding the enforcement of conscience protections that mentions abortion more than 30 times. Louise Melling, deputy legal director at the American Civil Liberties Union, said those conscience objections could expand to allow health workers to refuse some services to gay, lesbian and transgender people. "This administration has taken a very expansive view of religious liberty," she said in an interview. "It understands religious liberty to override antidiscrimination principles." 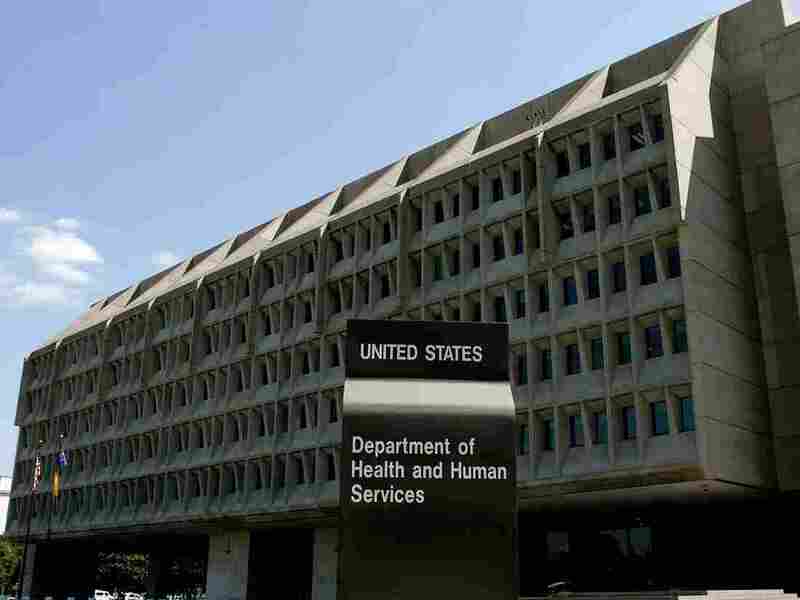 HHS makes clear that it won't allow gender discrimination that is banned by federal law. The question, according to Melling, is whether the administration includes gender identity and sexual orientation in the definition of gender. She says there are many examples of health workers refusing care on religious grounds, including a nurse who didn't want to provide post-operative care to a woman who had an abortion, a pediatrician who declined to see a child because his parents were lesbians and a fertility doctor who didn't want to provide services to a lesbian couple. Acting HHS Secretary Eric Hargan said Thursday that is the point. "For too long too many of these health care practitioners have been bullied and discriminated against because of their religious beliefs and moral conviction," he said. The government, he said, has "hounded religious hospitals and the men and women who staff them, forcing them to provide and refer for services that violate their consciences." The new division won't have to wait to get to work. A pediatric nurse at the Winnebago County Health Department in Illinois filed a complaint with HHS on Tuesday because she objects to her employer requiring that she be trained to make referrals to providers of abortion services or to help woman get abortion drugs, according to the Rockford Register Star. This isn't the first time in the Trump administration that HHS's Office of Civil Rights has moved to protect people with moral or religious objections to some kinds of health care. In October, the agency allowed employers to refuse to pay for birth control coverage. "Health providers should have the ability to live their religious beliefs without fear of workplace discrimination," said Sen. James Lankford, R-Okla., in a statement. Lankford has long advocated for such protections and has sponsored a bill called the Conscience Protection Act to codify the rules.